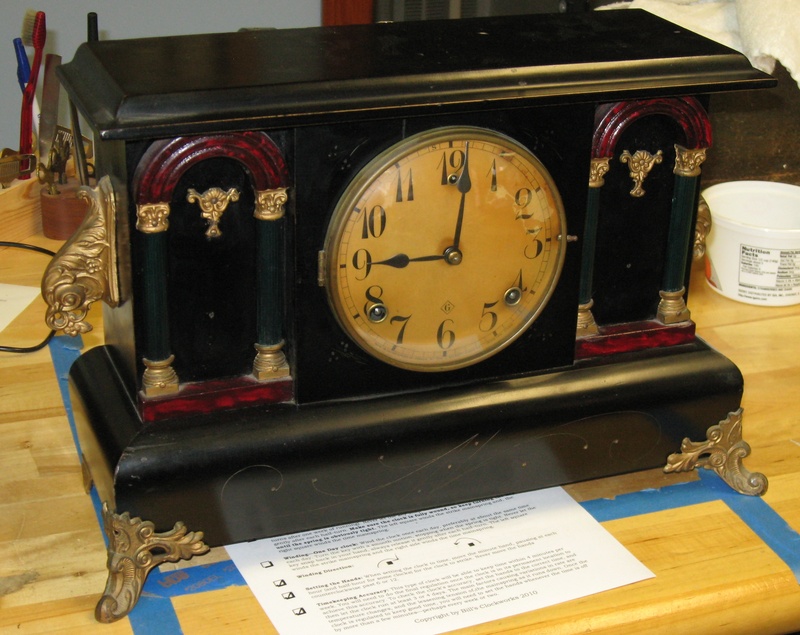 This Gilbert Black Mantel clock has a date stamp of 16 (meaning year 1916) on the movement. The painted wooden case is 16 9/16 inches wide at the feet, and 10 7/8 inches tall. 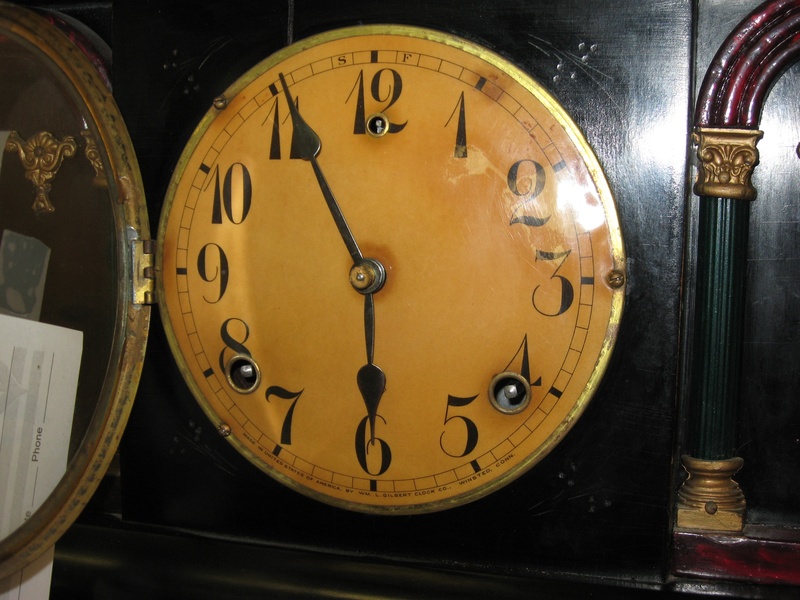 The celluloid covered dial has Arabic numerals, and the minute hand is 2 19/32 inches long. The movement has steel plates with brass bushings for the pivots to rotate in. Brass is traditionally used for movement plates, but several American makers (including Gilbert, Waterbury and Ingraham) used steel plates around 1900 – 1920. The repairer can ream the brass bushings and insert new bushings, just like installing bushings in a brass movement plate. Repair job 6068. I polished the pivots and installed 15 bushings, and straightened a bent pivot. The rear time main wheel pivot was very rough, it left the factory that way. Gilbert movements commonly have rough pivots from the factory. The original mainsprings are 3/4 inch wide and 0.0167 inch thick.